The digital panel meter range, known as the M300 series is primarily designed for use in the power industry, but offers a wide range of both AC and DC input parameters. The applications are limitless. Customer adjustment of both "ZERO" and "SPAN" is permissible via potentiometers, accessible from the rear of the product. The meters are 3.5 digit with a digit size of 14.2mm (0.56") high, 7 segment matched LEDs allowing viewing from a wide range of angles and distances. 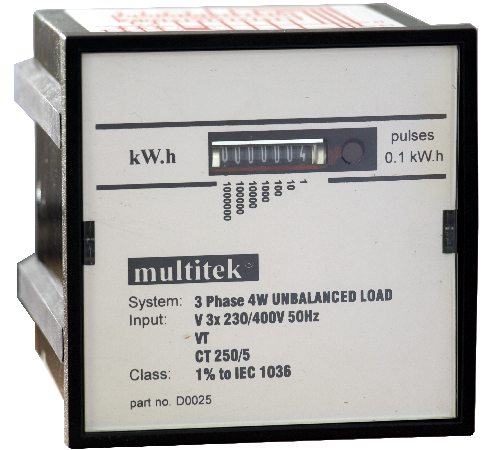 The M600 kWh meter has a class accuracy of 1% (IEC1036). 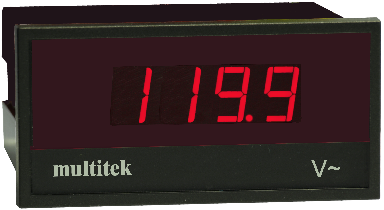 The 7 digit, non-resetable mechanical counter version provides an ideal replacement for the traditional Ferraris disc kW.h meters. Options include a pulsed output and a mA signal proportional to the instantaneous power being measured.